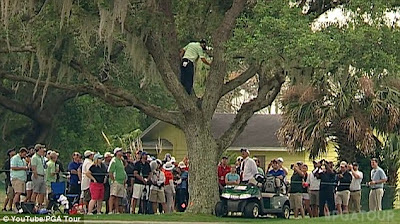 Garcia was playing the relatively short, 382-yard 10th hole at Bay Hill when his second shot ended up in the crook of a tree. Trees sure have been gulping up golf balls a lot lately. 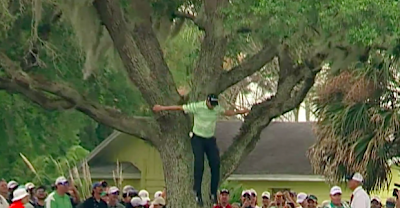 Tiger Woods had a palm tree situation in the third round of the WGC-Cadillac Championship, and while he was forced to take a drop from that unlucky break, Sergio Garcia decided to do it one better. Sergio hit his ball in a tree on the 10th hole at Bay Hill, and instead of taking a drop, he climbed up the tree and hit it right out of the branches (it happens around the 3:15 mark of the video). Garcia one-handed it back into the fairway, but unfortunately still made a double-bogey on the hole and ended up withdrawing during the rain delay at the Arnold Palmer Invitational. 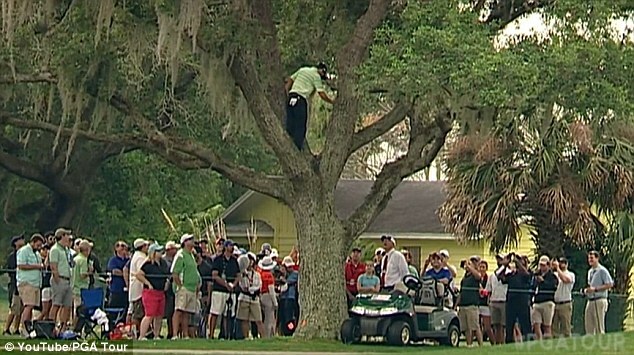 Still, that's a pretty creative way to get your ball back into play. 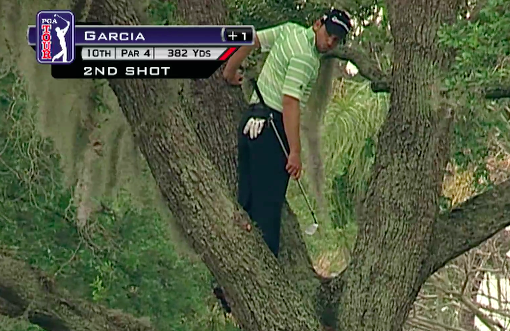 The big question here is if this was Garcia's best tree situation ever. I'd like to say so, but I feel like this video below was better considering the major championship situation. Following his amazing shot, Garcia dropped from the tree and finished the hole with a less than stellar result, carding a double-bogey 6.